What in the world are we talking about? 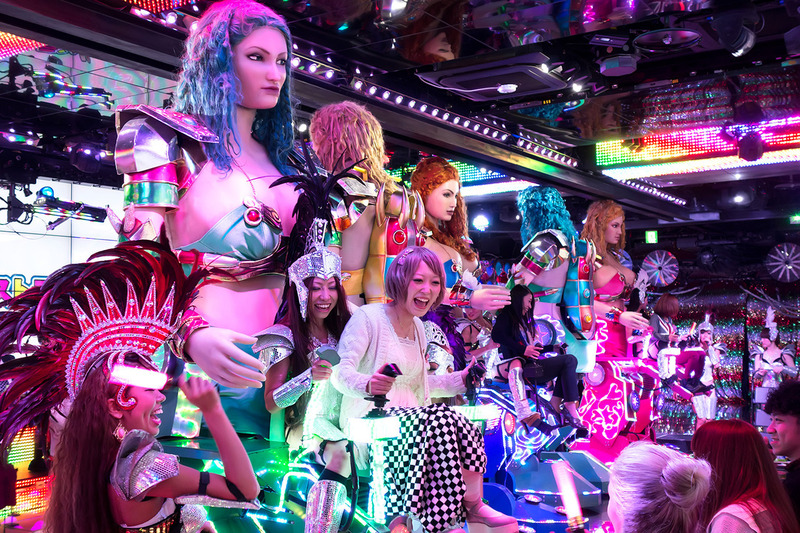 No, we’re not out of our minds, we’re talking about the Robot Restaurant in Japan! Located in Kabukichō, Shinjuku, you definitely can’t miss it! All you need to do is look out for a colossal neon signboard with two equally giant robots. 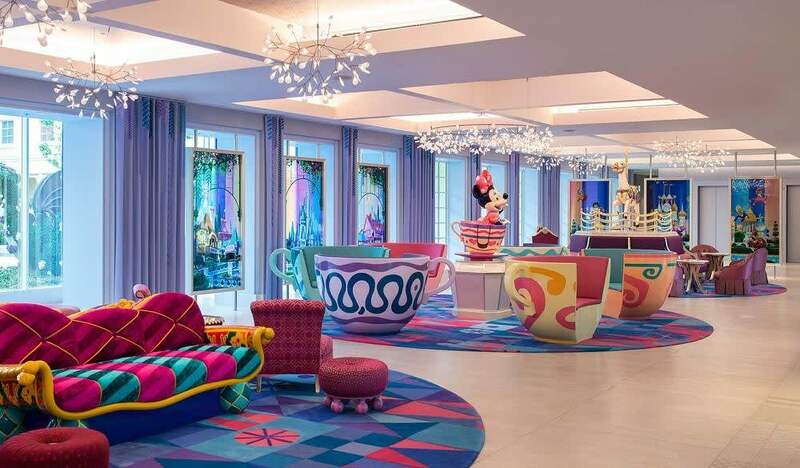 Hold your breath and be transported into an alternate reality where flashing lights, crystal chandeliers, mirrors (lots of them) and neon sparkles take charge. You, my friend, have been transported to the world where robots rule! We present to you a foolproof guide to having the best experience at Tokyo’s Robot Restaurant. How do I get to the Robot Restaurant? Klook Pro-Tip: If you’re coming from JR Shinjuku Station, take the East Exit for Kabukichō. With Studio Alta in front of you, cross the street and walking any of the side streets to Yasukuni Dori (a street in Shinjuku popular for its neon lights). Finally cross the pedestrian and you’ll spot a Family Mart Convenience Store and like we mentioned, the gigantic neon sign will give it away. We suggest you purchase a Tokyo Subway Ticket or JR Pass for a better deal rather than buying per distance travelled each time you wish to take the subway. Tickets are available at their official website or head down to your hotel’s concierge to request for a ticket reservation. Either way you purchase your tickets, you are required to redeem them at the ticket counter across the street of Robot Restaurant. Alternatively, you can book via Klook in the comforts of wherever (as long as you have an internet connection) and enter Robot Restaurant directly with our mobile e-ticket; no redemption required. At the Robot Restaurant, each admission ticket entitles you to a 90-minute show. When you enter, food and drinks can be bought a la carte. Klook Pro-Tip: You can always pay an additional fee to include a Bento Box Meal. We suggest havinga meal before heading over because there isn’t much to choose from and the portions can be quite small. The show happens four times a day. However, do check the official schedule or give them a call to ensure the show is ongoing. You must check in at least 30 minutes before the show starts. Book your tickets for the first performance at 4.00pm over the weekend with Klook and get 2 exclusive free gifts: a JPY500 drink coupon and pictures with the robots! Is there a dress code at Robot Restaurant? Interestingly enough, yes there is! It’s important to note that you must follow these strict guidelines properly to avoid an embarrassing rejection at the entrance. There is also a stern restriction over professional photography, therefore professional cameras aren’t allowed. Thank goodness for the ever improving camera quality of our smartphones, you’ll still be able to immortalize your (off the wall) experience. The Robot Restaurant is extremely Instagram-mable in its own special way. WiFi might be weak because in a room full of 120 people (if it is full house), signal strength ain’t on a roll! We suggest you get a Portable Wifi Device to keep you connected at maximum signal strength so you can bombard your friends with weird colourful robots. Remember not to touch the dancers and not to leave your seats as well. Klook Fun Fact: You are asked to cover up any visible tattoos because of the association with mafia in the Japanese psyche, and not to wear sunglasses for the same reason. Multi-coloured laser lights, flashy female dancers (don’t worry, it’s capped at PG-13) and odd-looking robots is all we can say. There isn’t much of a linear storyline and you probably won’t understand what you’re watching, but there’s one thing that we’re sure of – endless energy and lots of laughter! From drumming beats to mock battles between giant sharks and dancing horses, it’s seriously entertaining. 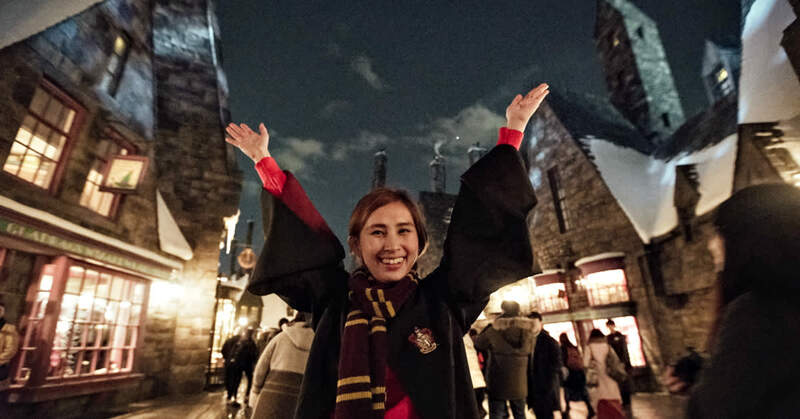 There are 3-4 short breaks in-between sets where staff will parade the theatre, holding up signboards with food and drinks in hopes of getting you to binge eat for the next segment. This is your cue to redeem your free JPY500 drink coupon! Most will probably get a drink or 2 along with some popcorn to keep sane. Glow sticks will be handed out at the last segment so you can wave them ecstatically in the air as you bob along to the electronic beats! The Robot Restaurant epitomizes the bizarre side of Japan and it is definitely an experience you shouldn’t miss out on your trip to Tokyo! Klook Me To Tokyo’s Robot Restaurant Now!